Isn't that interesting? 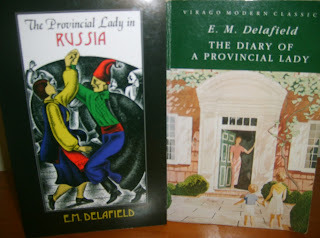 The owners are obviously Maugham fans! 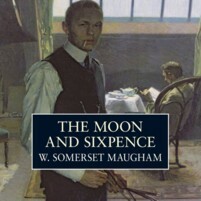 I love Somerset Maugham! This was the first book of his that I ever read...and I was hooked. This is my third Maugham for the year so far (& I ordered the biography, of course!) & I have more on the tbr shelves so I'm sure I'll read at least one more before the year's out. will look for the audiobook with Robert Hardy and I am a huge fan of his. I have OHB on the tbr shelves, maybe that will be next? I downloaded the audio book from Audible but it would have been available from libraries on CD at one time. I haven't read anything by Maugham, but I picked up a copy of this book at a book sale a few weeks ago. Now I want to try the audio version as I love Robert Hardy! I enjoyed your review. I really enjoyed the audio so I hope you can get hold of it. I seem to be reading a lot of Maugham this year!